The first rule of surprise gifts – pick something you have absolutely no expertise in. To narrow it down a bit – this means going for something that you know your boyfriend is interested in but is too afraid to freely chat about, thinking you might accidentally fall asleep (football, anyone?). So guess what. Instead of giving him yet another fancy belt or a wallet (in fairness, he actually needed those) I decided to surprise him by organising a trip to Joe Satriani’s concert. For those not in the loop (myself included, until very recently), he is one of the world’s most prominent instrumental rock guitarists (15!!! Grammy nominations). He is so good, in fact, that he’s never really played in a band, preferring to perform solo or with selected musicians. On his own terms. Cool, right? I’m not going to lie, it did require quite a bit of time and effort. Not only did I not know where to begin – my Google search started with a very generic “electric guitar show London” – but I also didn’t have a clue how he would react. After all, this is a surprise gift, so it could have gone wrong easily. This is the card I designed to build up the momentum – giving tickets doesn’t really translate into anticipation, so a bit of visualisation is always a good idea. 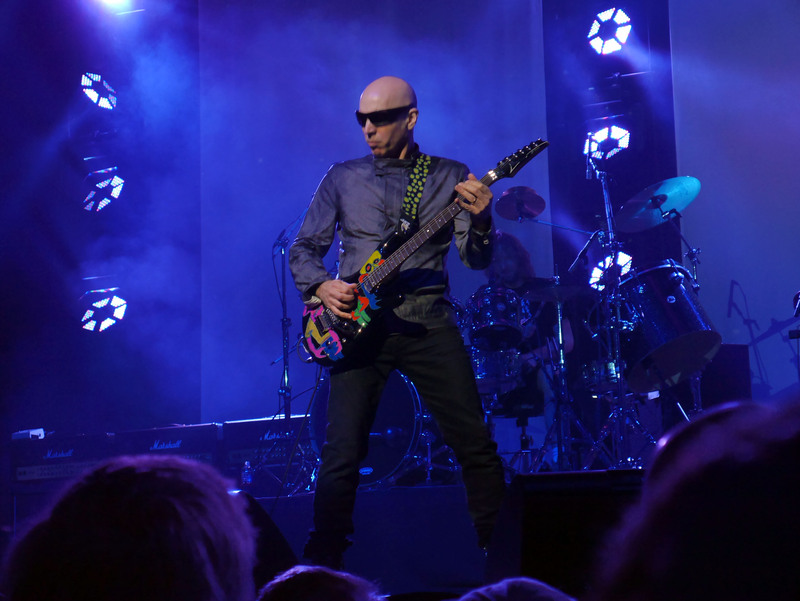 Now a bit about Satriani’s tour. To my own surprise, this was one of the best concerts I’ve ever gone to. Joe and his crew (well, I shouldn’t really call them “crew”, they all were extremely talented musicians) played for over two hours, with levels of energy increasing with every song. 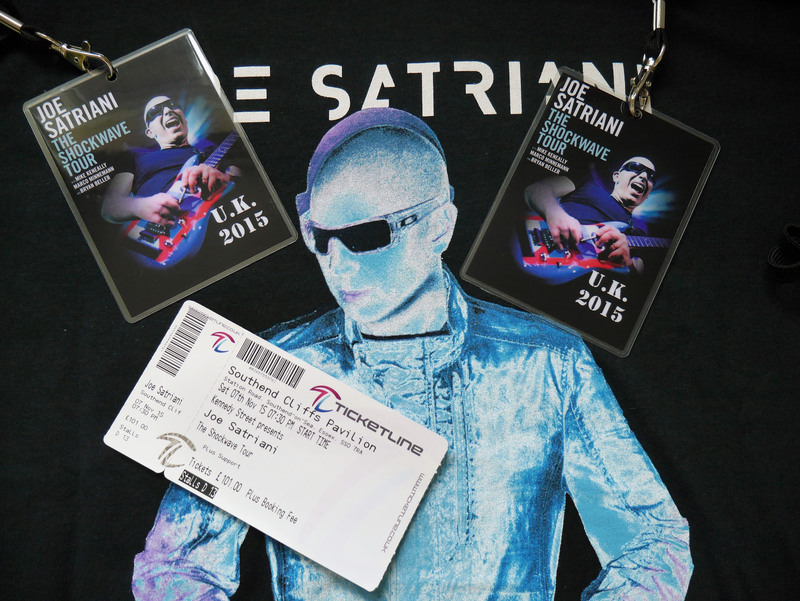 Bearing in mind that Satriani is almost 50, this made me realise how lazy I am at my 25. If you are in London and can find a spare ticket, I would suggest you cancel your Wednesday plans and head to Hammersmith. Tickets are still available here. Previous PostAmazing gifts for One Direction fans (and haters)… Take your pick!